Imagine a great column of birds a mile wide flowing across the sky for days, darkening the ground below and filling the air with the rush of wings. This was the spectacle which greeted European settlers in the forested east of America. The birds were Passenger Pigeons, not just the most abundant bird in the ‘new’ continent but the most abundant bird in the world. Yet within just a few decades the seemingly limitless flocks were gone. By 1900 America’s forests were quiet. The last Passenger Pigeon of all, ‘Martha’, died in Cincinatti Zoo, Ohio almost exactly a hundred years ago on 1st September 1914. How the world’s greatest ever avian spectacle was wiped off the face of the planet is the subject of this new book by Mark Avery. The author begins by setting out what we know about the ecology and population size of the species, proposing on the basis of contemporary accounts a staggering figure of some five to ten billion birds. So numerous was it that it shrugged off the impact of predators by sheer weight of numbers and destroyed whole woods with its vast night-time roosts. Some breeding colonies occupied thirty square miles and held a hundred million birds. Yet as the first Europeans ventured into America’s forested interior the presence of this remarkable bird was greeted not by awe and wonder but by an all-out assault. The pigeons represented a free and seemingly inexhaustible supply of food and were butchered in their millions. It was not, however, the barrage of gunfire which brought the species to the edge of extinction. Instead it was the relentless destruction of the eastern forests which spelled the end for this bird. It had adapted to the patchy and unpredictable production of tree mast, its principal food source, by adopting a nomadic life across half a continent but with increasing gaps in the forest cover and the removal of the largest trees in those tracts which remained, the pigeons were deprived of the vast resources they required. An ecology which had supported super-abundance was suddenly vulnerable. This double assault – on the eastern forests and on the birds themselves – is chronicled here through that most American of adventures, the road trip. Visiting a host of sites important in the species’ story and talking to their present day inhabitants, the author pieces together a detailed and compelling account of the early years of frontier America. Through his eyes we get to visit (amongst other places) Hardinsburg, Kentucky where Audubon witnessed flocks of Passenger Pigeons a billion strong, Pike County, Ohio where the last wild pigeon was shot, Coshocton, Ohio where its remains still reside and, in Wisconsin, Wisconsin Dells, the one-time site of a famously large breeding colony, and Wyalusing State Park, the current site of a Passenger Pigeon memorial. Please read before ordering: When ordering via WildSounds, the value of the voucher will be deducted from your order when the order is processed. The total displayed on your shopping basket excludes the value of the promo but this will be applied before final payment is taken. 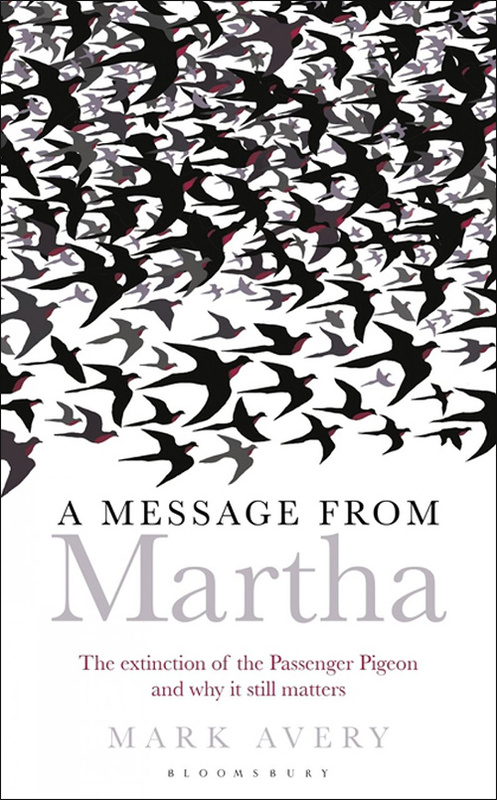 This road trip through the hinterland of modern America provides the central framework for the book, essential to immerse the author in the story and to bring its main ingredients to life, but equally illuminating is the subsequent contextualising of the Passenger Pigeon’s demise in the timeline of American history. The nineteenth century saw the great westward push across the continent, the very enactment of ‘Manifest Destiny’ (an ‘invasion’ in the words of the author). This was the era of Lewis and Clark, of Daniel Boone, of Horace Greeley’s exhortation to ‘go west, young man’. It saw the invention of the railroad, the breech-loading shotgun and barbed wire, and the passing of the Homestead Act. This advance across the continent had already ensured the disappearance of the Labrador Duck and the Great Auk. Now, as well as the Passenger Pigeon, the Carolina Parakeet, the Eskimo Curlew, the Bachman’s Warbler and the Ivory-billed Woodpecker would vanish too. The remainder of the book considers what lessons might be learned from this experience and attempts to bring some messages home. In nineteenth century America, environmental consciousness and ecological understanding were limited. Today, however, we have no such excuses. We understand the nature of our impact on the environment and have choices about the kind of future we want. Do we, asks Avery, want a world dominated by the desire for ever greater wealth and ever cheaper food or do we want a world in which nature continues to be present, not just as an economic resource but as an integral part of our lives? Inevitably, just as in America, such questions focus our attention on land use in general and on agriculture in particular. Here, as former Conservation Director of the RSPB, Avery is firmly on home ground, perhaps better versed than anyone in the politics and the arguments surrounding intensive agricultural practices and their effects on farmland birds – Skylarks, Tree Sparrows, Corn Buntings and the rest. Here too, strangely, it is a pigeon (the Turtle Dove of course) which forces us to consider where we are heading. As always, Avery pulls no punches on this subject and he is clear and damning in his judgments. Though habitat change on the wintering grounds and the mass shooting of passage birds may be playing some part in the catastrophic decline of our own Passenger Pigeon, it is the intensification of agriculture and the removal of its food resources which carry the overwhelming majority of the blame. Members of the National Farmers’ Union had better look away now for Avery singles out this organisation as uniquely responsible for not engaging with these questions, for refusing to consider that ethics as well as economics might have a place in how we grow our food. This then is an important book, gripping and engaging but packing a powerful message and asking difficult but necessary questions. It is an inspiring read for all who value the natural world and should be a required read for all who don’t.